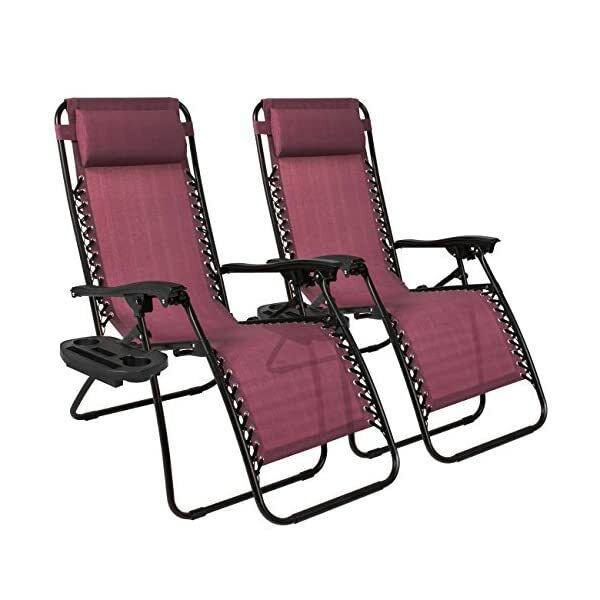 A popular and high rated set of 2 Burgundy red zero gravity chairs from Best Choice Products designed solely with comfort in mind for relaxing with a friend or loved one. 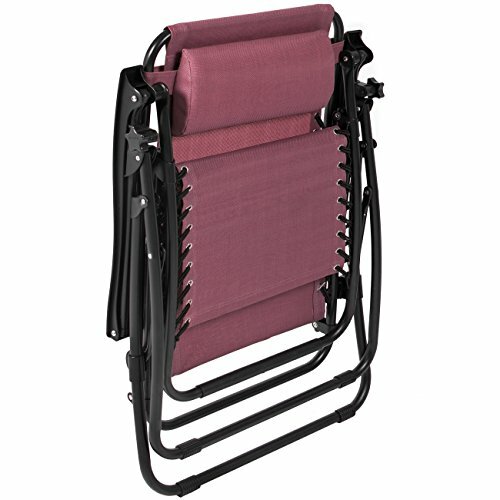 This versatile set of anti gravity chairs can be used anywhere you wish, indoors or outside for camping or even on vacation. A perfect pair of chairs for your patio or to use by the pool or even a reflexology office these chair fold down to around 6 inches flat making them suitable to transport and store. 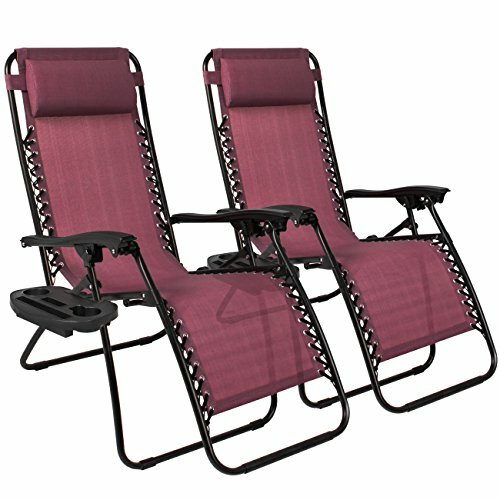 The Best Choice Products set of 2 zero gravity outdoor recliners are lightweight and can be purchased in a variety of color options. 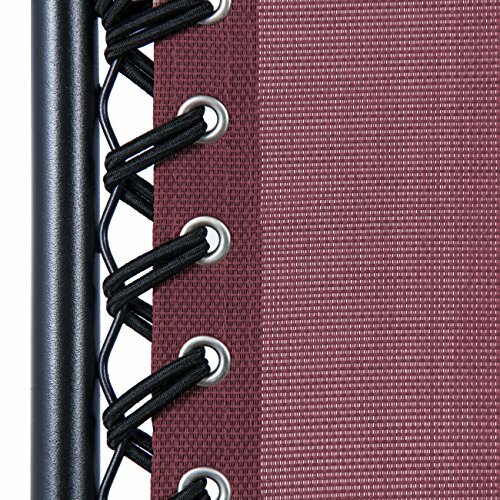 Each of the outdoor zero gravity chairs come complete with a removable and adjustable padded headrest that can be moved around to provide additional support where you desire on either the head, neck or lumbar area. 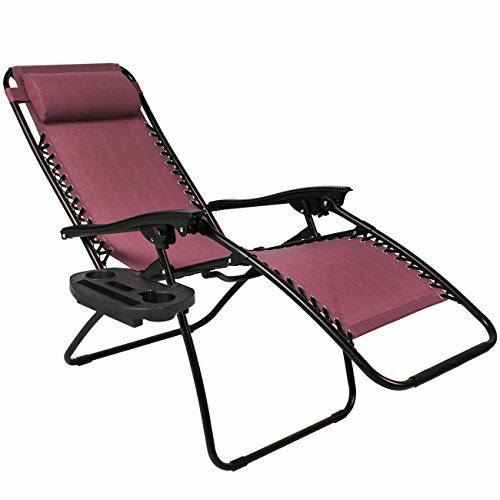 The outdoor gravity recliners seat you securely into your ideal reclining position and feature a twist lock mechanism to keep you in your required recline position all the way through to the zero gravity position. Once you have found your ideal spot you can lie back and relax in complete comfort for a touch of reflexology therapy and total spinal support. The seat of each antigravity chair is made from UV-resistant all weather mesh materials that is supported by a replaceable elastic cord and the frame of each chair is made from strong and durable Powder Coated Steel. the chair immediately adjusts to your body’s size when you recline and the seat of the chair is designed to reduce heat transfer making it comfortable even when it is very hot weather. 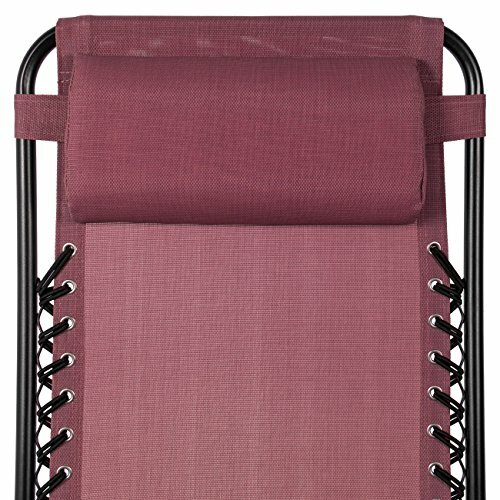 This set of 2 zero gravity outdoor chairs also come complete with dual accessories trays that each feature cup holders so you can always keep refreshments and items such as books and mobile phones close at hand. In summary this set of 2 anti gravity recliners for the outdoors are a very good purchase to consider, often available at a low price, these popular chairs have gained some very good reviews making them one of the best sets of 2 zero gravity chairs available. The only downside that may be an issue for some is that their weight capacity is 250 lbs where as many other outdoor gravity chairs such as the Sundale Set of 2 zero gravity chairs usually have a slightly larger capacity of around 300 lbs. 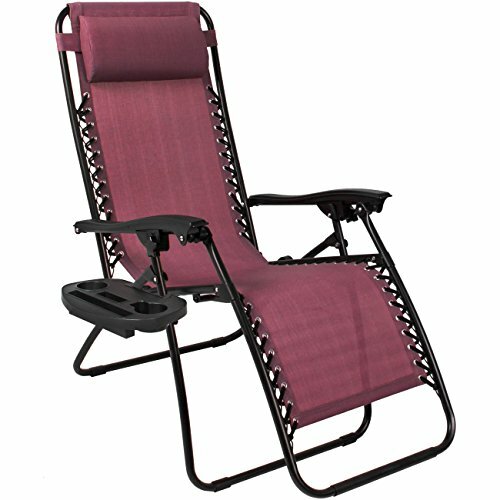 You can visit the retailer to view what others have said about this good looking and functional zero gravity chairs. The set of 2 Best Choice Products zero gravity chairs are available in Black, Tan, Brown, Burgundy, Navy Blue and Light Blue Color Variations.